QuickWash is a natural, fast-acting anti-bacterial hand gel with Tea Tree Oil which effectively kills 99.99% of bacteria and common germs. After using public transportation, a public toilet, an ATM, a supermarket trolley, etc. 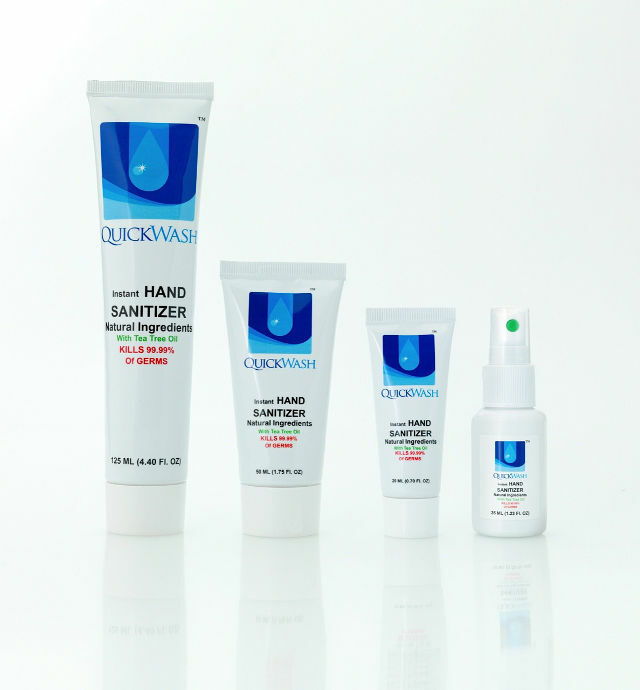 What makes QuickWash different from other hand cleansers/sanitizers? 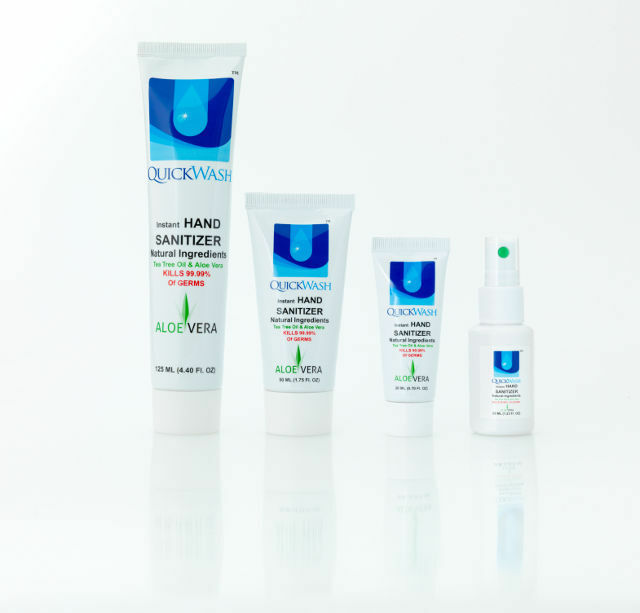 Other products may cleanse and sanitize your hands but QuickWash has a clear advantage because it contains Tea Tree Oil, a natural antibacterial. 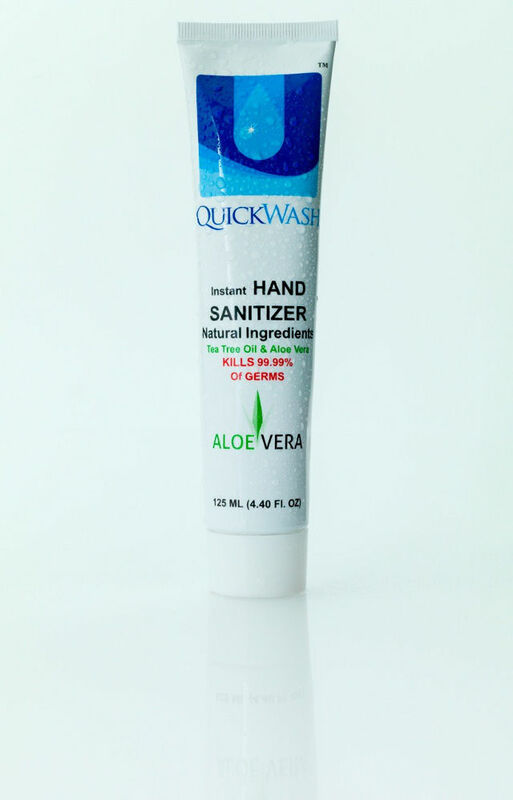 Unlike other hand cleansers/sanitizers which are laden with alcohol and leave your hands with a sticky residue or feeling dry, QuickWash leaves your hands feeling soft, smooth and refreshed.